For a long time it felt like American beatboxing was stuck in the 1980s and 1990s. The pioneers of beatboxing - Doug, Biz, Buffy drove the original scene, then Rahzel and Kenny Muhammad spearheaded the top talent as the Internet created a global platform for the development of the art form. But for a long time it felt that the American scene was in a rut. There were pockets of talent and some pioneering work from hard-working artists, but to the rest of the world it felt like the U.S. was a collection of individuals rather than a vibrant scene. I wonder if the ego-driven individualistic nature of some American beatbox artists contributed to this rampant individualism? Rahzel called himself the ‘Godfather of Noise’ and Kenny Muhammad still calls himself the ‘God of Beatbox’. 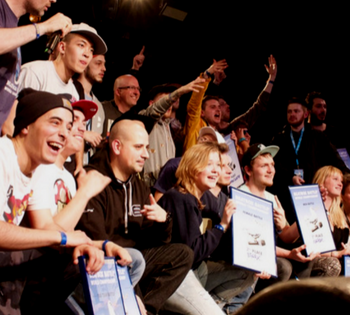 Meanwhile the European scene had blossomed and the old school American beatboxers were left behind, no matter how some of them shouted or complained. 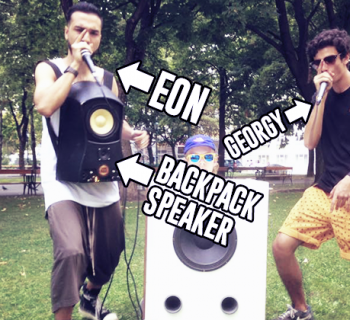 The European beatboxers were closer networked and well organised, they spent more time together, had a willingness to travel, pushed each other sonically, and they became friends and colleagues. Was this what the U.S. scene needed? In the last few years we have seen the American beatboxers dominating world-wide battles and racking up huge online followings and video views. The superstars of the American scene have become household names. Kids all over the world try to be like them. Even this year, in 2015, we have already witnessed Gene Shinozaki winning the international Grand Beatbox Battle in Switzerland, Kaila winning the women’s World Championship title and Napom in the final of the men’s World Championship. And if we look behind the names we find something very special and something that is bigger than any individual. It goes under the title ‘The Beatbox House’. What is The Beatbox House? Well, it’s lots of things but it firstly it is actually a real house - one that people live in - and it’s based in Brooklyn, NY. Beatboxer Chris Celiz and Izzy Friedman live there and they had a vision for a place where they could cultivate a safe and positive space for friends and family to come over. It just so happened that the majority of their friends were beatboxers. 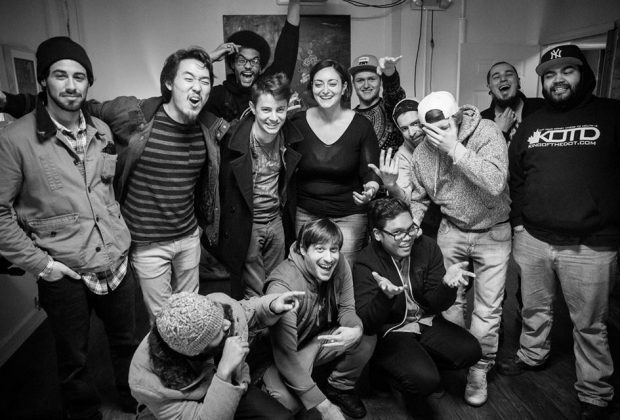 The Beatbox House became a place where beatboxers would stop by and connect. Through a shared passion they became close friends. In fact, the friendship became the most important thing. 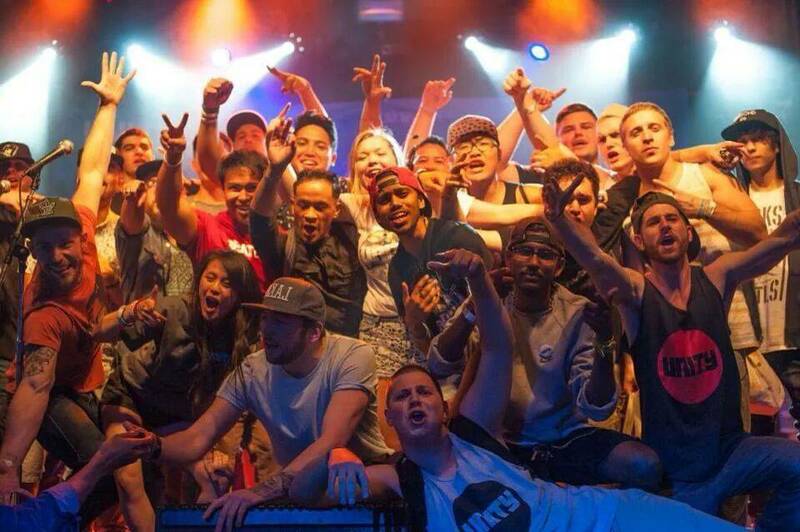 So The Beatbox House went from being a physical place to a collective of beatboxing friends. In the early days of The Beatbox House, Johnny Samson (aka Johnny Buffalo) and Mark Martin (aka Mandibul) moved in with Chris and Izzy. On Friday nights they opened up the house for beatbox jams and open mics. Any beatbox artists from around the world would stop by the house and crash there on their travels. This house in Brooklyn had become a hotbed of talent and a hub for beatboxing in the U.S. Other NYC beatboxers such as Amit and Kaila joined The House and beatboxers from Pittsburg (Neil Meadows, aka Napom), Connecticut (Kenny Urban) and Boston (Gene Shinozaki) all travelled to NYC to expand the collective even further. This group of close friends don’t just hang out together, they also need a platform to perform, and in true hip-hop style they hit to the streets focusing on street performing. They take their PA to Union Square in Manhattan - a place for poets, professionals and protesters - and set up underground in the Metro station. They plug into the Metro system to give them the power they need and busk for 3-5 hours at a time taking it in turns to perform individual sets, duo sets and group collaborations. They perform a myriad of covers and originals and recycle routines that draw in the crowds - Pony, Cry Me a River, Move it, Animals, etc. As a collective, The Beatbox House gather several times in a week to rehearse for big shows - the line-up changing depending on the size and importance of the gig, who is available and who can get into the city. But members gather every week. Why? Because they are friends. The time spent together has contributed to the way they have grown as artists. 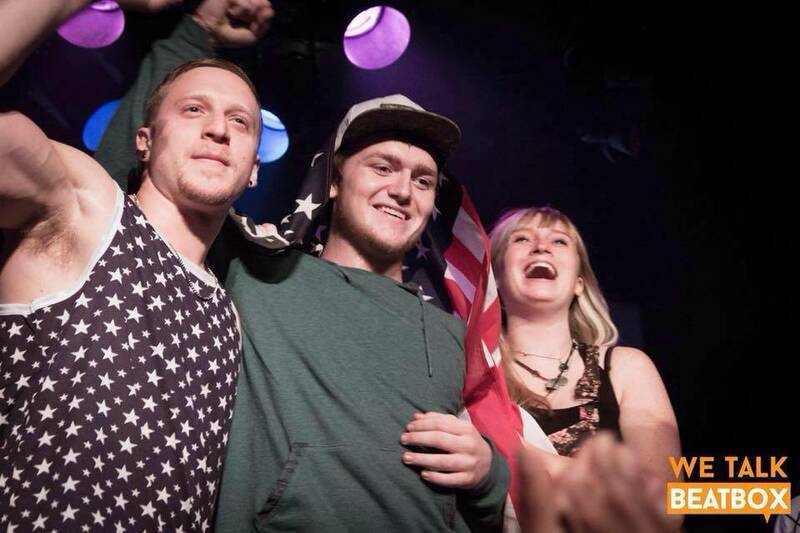 The Beatboxing House has been a learning community for both artistic and personal growth. Within a positive space they have both trust and confidence in each other - and this led to exponential growth. They traded techniques, encouraged each other, stretched each other to try things they weren’t comfortable with and challenged each other to get better. The bond of friendship gave this group of exceptional individuals a collective strength. In fact, they would call themselves more than just friends but family. 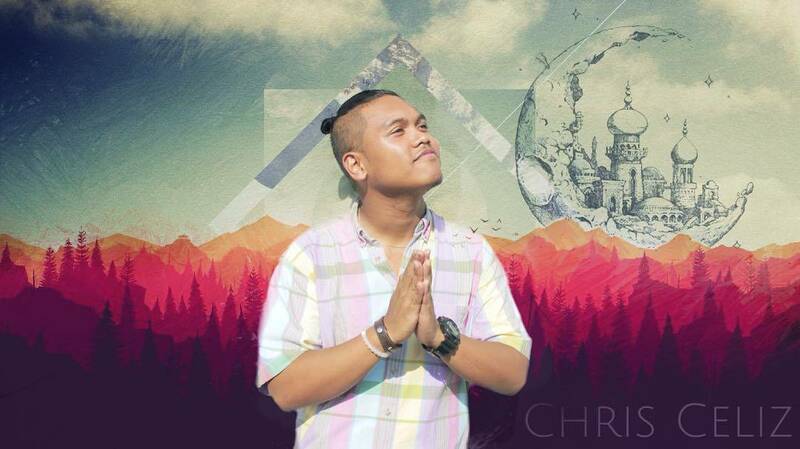 For example, Napom and Kenny Urban helped Chris move into his new house; Chris went with Amit to the hospital when he hurt himself; they make dinner for one another; and sometimes they just go clubbing together because that’s what friends do. And that’s the secret of their success. They are a family. 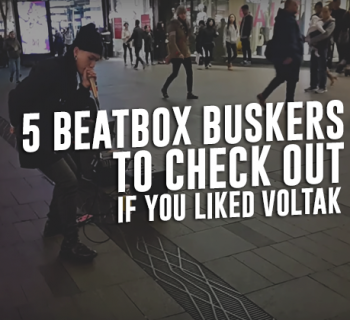 Like all classical artistic movements in the past, The Beatbox House are a group of artists with a common philosophy defining a new cultural movement. They are taking beatboxing to a new place. They are on the cutting edge of history right now and every day a new page in the story of beatboxing is being written. One thing is for sure, The Beatbox House have made their mark and earned their place in the annals of beatboxing. This is great to see! I’m from Connecticut and in Boston now, been following these cats for some time now. I’ll have to get down to NYC soon and check it out! Keep bringing back beatboxing in the US! and we need one of this. i would be happy to pay a lil fee to have a place to hang out with the rest of the european/uk family.